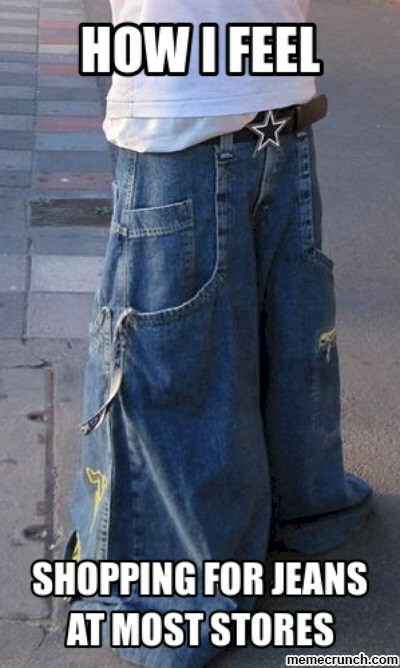 Life is a tall task. 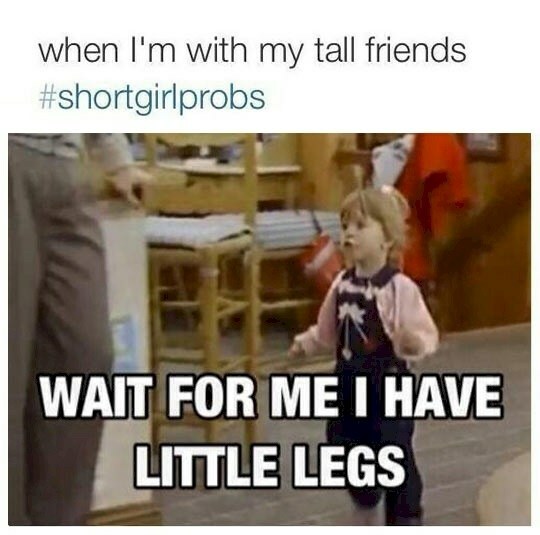 Being a short girl means double the effort for half the reward. 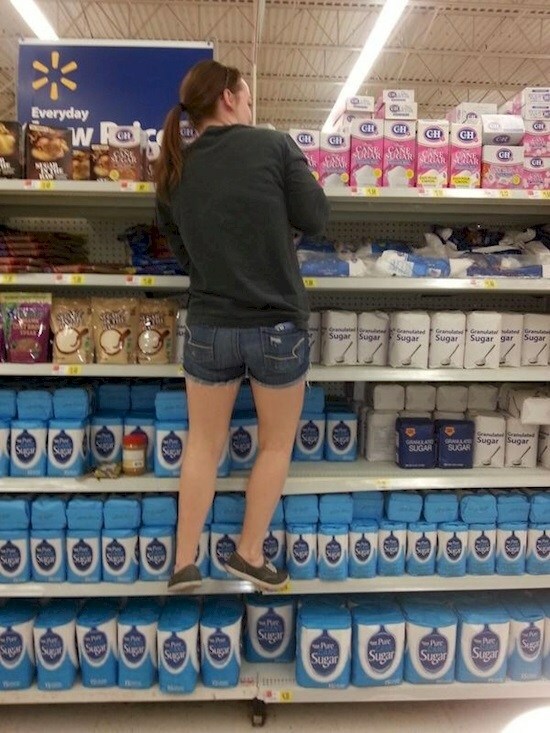 Even the most basic tasks require more work than they're sometimes worth. 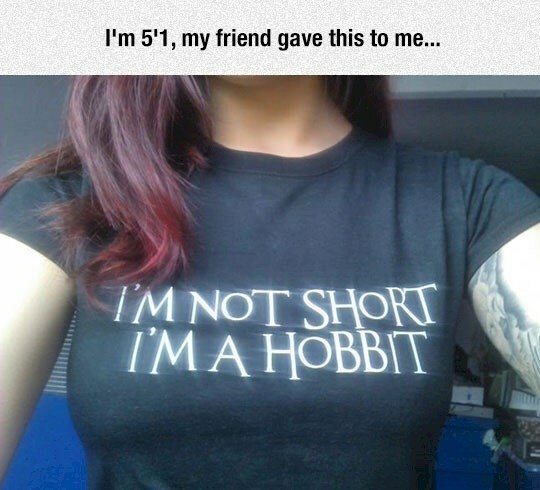 But asking for help would only mean admitting tall girls are better. 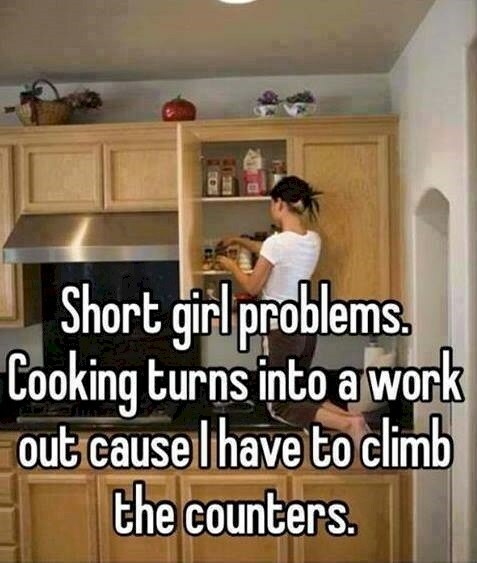 So instead, short girls try to make the best of a tough situation, which usually involves standing on countertops, climbing up shelving units, and a lot of jumping. 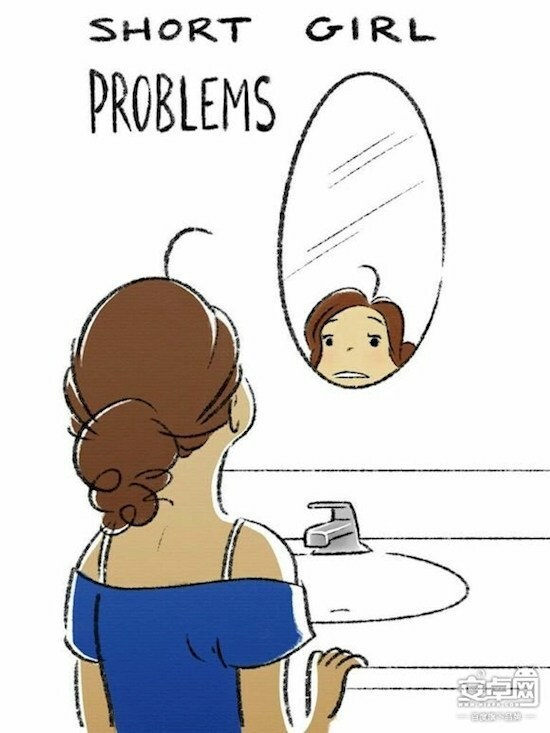 So if any the previous struggles apply to you, read on, because I'm sure you'll have no problem relating to the rest of them. 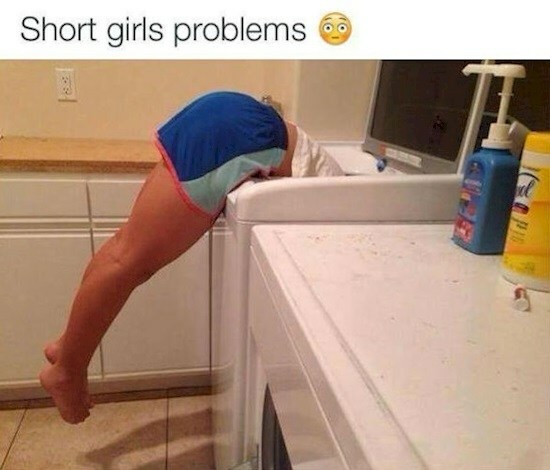 What problems do you face for being a short girl? 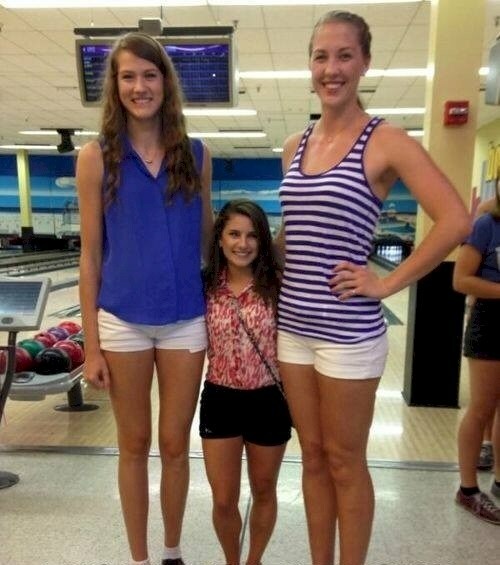 Do you know any short girl? Share this with them! So true!! 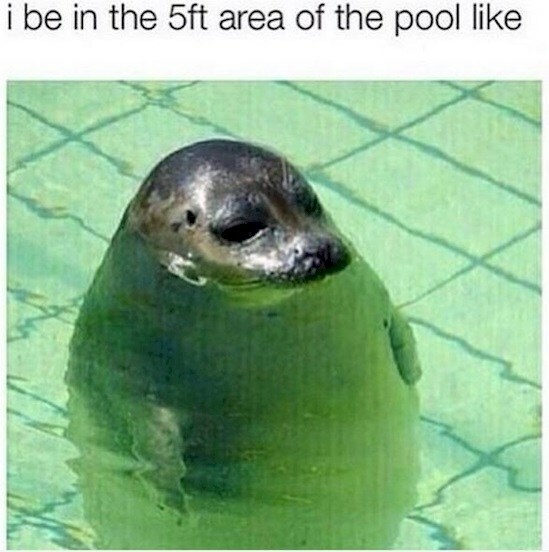 I can relate easily.